Did you see the blood moon last night? It was beautiful! 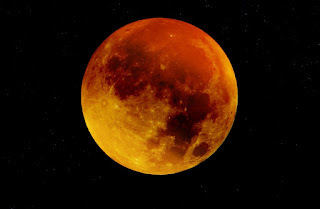 I've heard that some people have connected a recent series of blood moons to Biblical prophecy. I never heard about any doom or judgment linked to moon phases in all of my biblical studies. I just offended someone. The refs blew the Saints / Rams game. I even read an article that the NFL commissioner could order the teams to replay the game because of this blunder. It won't happen. But I just offended someone. The government is still shut down. Politicians are acting like spoiled brats. Yup! I just offended someone again. We live in an age of offense. We are a culture that either walks on eggshells or puts on our army boots and stomps on them. It seems that regardless of how you stand on an issue you'll offend someone. Someone once asked me where I stood on a particular topic. I told them that I didn't have an opinion, I honestly didn't know what they were talking about. I offended them. 1 Chronicles 12:32 Of Issachar, men who had understanding of the times, to know what Israel ought to do, 200 chiefs, and all their kinsmen under their command. How you and I interact with our world has changed. No longer can we speak in absolutes and expect others to believe. People no longer trust our words, but they will place their faith in our hearts. If we are ever going to reach the people around us, then we have to build a meaning relationship first. But here are a few things you need to know. Build friendships first. When you speak from a relationship that cares your friend will listen. Listen before you speak. People want to be heard. Even if you disagree with their opinions, listen and understand. Care before you lead. Make caring a reality. More than words, do something!